The real estate bubble days of past have long gone. However Panama’s property market continues to move along, not quite at the same pace, but moving along just the same. Many investors compare Panama’s market to a young Singapore or Hong Kong. The country’s financial stability and growth are results of Panama’s strong economical foundation. Besides the Panama Canal; Panama boast a large financial center, the second largest free trade zone in the world, 3 large container ports, large deposits of copper and gold, and as if that wasn’t enough, recently oil near the eastern boarder was discovered. Panama has become a world class destination, not only for its striving business culture, but also for its vacation and versatile tourism destinations. Panama offers a harmonious blend of Pacific and Caribbean beaches, mountains, rainforest and a cosmopolitan city center. The country is investing in the infrastructure and supporting tourism full steam. Cruise ships have always found Panama to be an attractive destination because of the Canal and attractive beaches, however within the past few years; Panama has been made a cruise ship home port by Royal Caribbean and Pullmantour, having thousands of passengers fly into Panama to start their cruise itinerary. Panama has consistently remained on several international list as one of the best places to retire. The government has put in place a retirement program “pensionado” that provides incentives to retirees who reside in Panama. Retirees receive discounts in restaurants, entertainment, hotels and home utilities. They don’t pay taxes on any funds brought into the country and they’re exempt on import taxes for household items and up to one vehicle every two years. The program allows retirees to live a full affordable life with substance and style. The above mentioned attributes have contributed to a real estate market that has a wide range of attractive offerings, encompassing commercial, vacation, second home, permanent residency and investment properties. There are tremendous values in every segment of the marketplace, whether it’s pre-sales, re-sales or new construction. 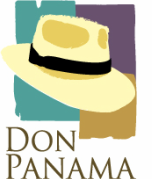 Don Panama can help you navigate these offerings and assist you in making the right decision to meet your needs.